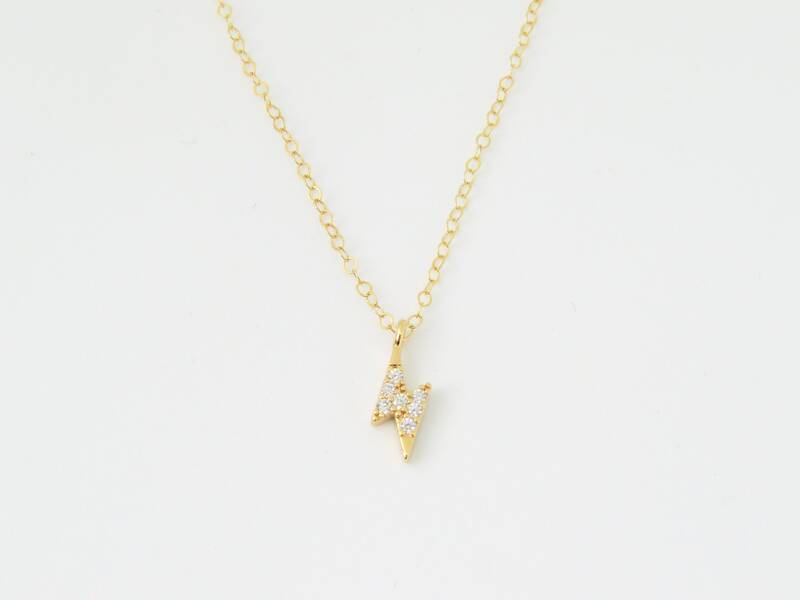 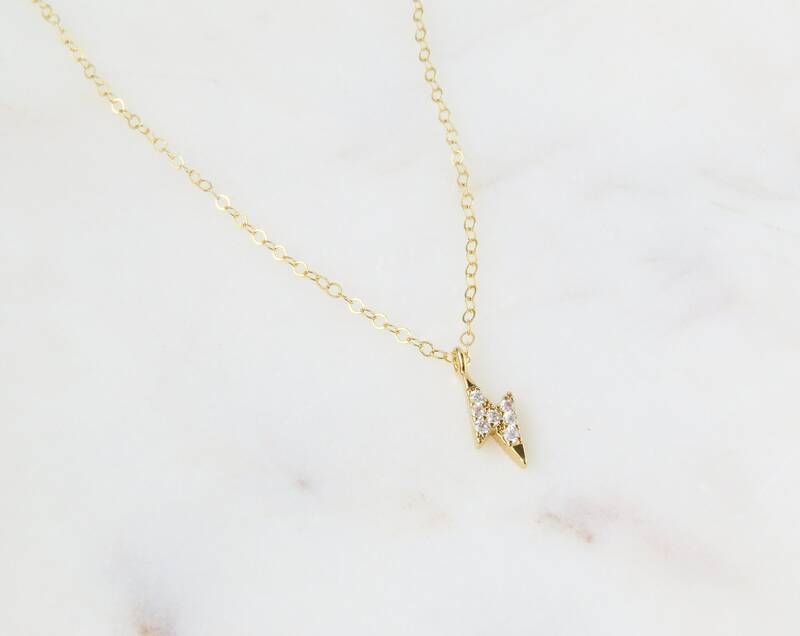 14k Gold Plated Lighting Bolt Necklace with Cubic Zirconias. 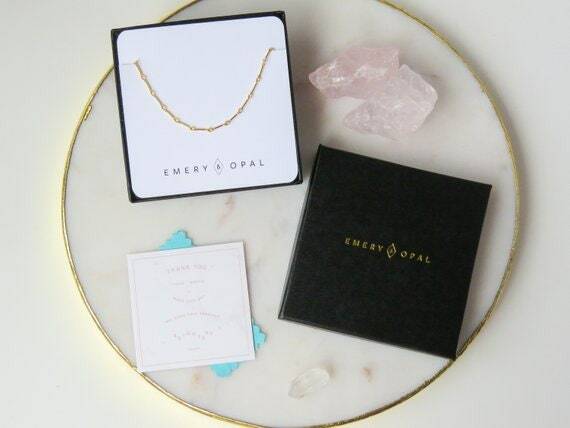 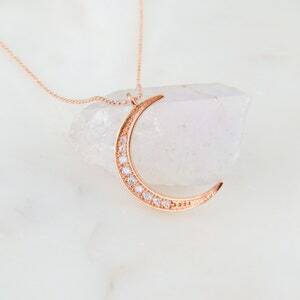 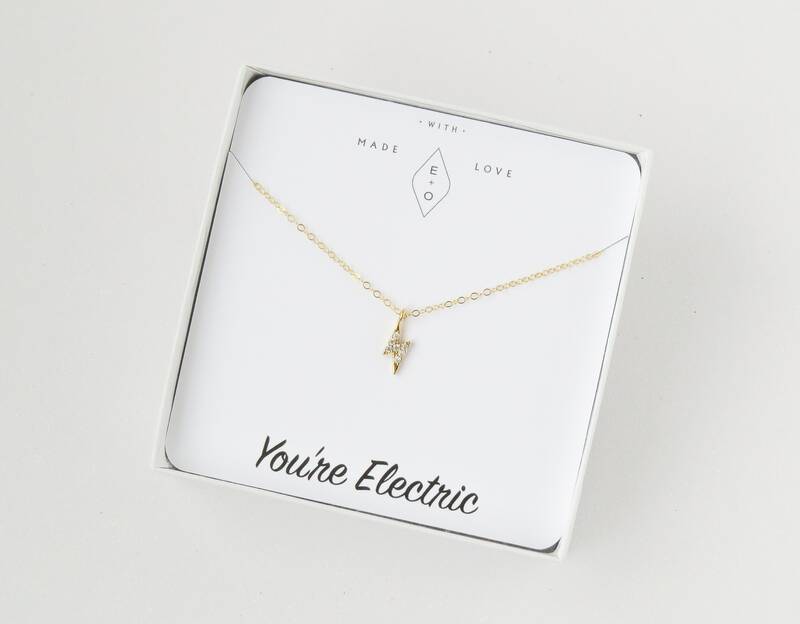 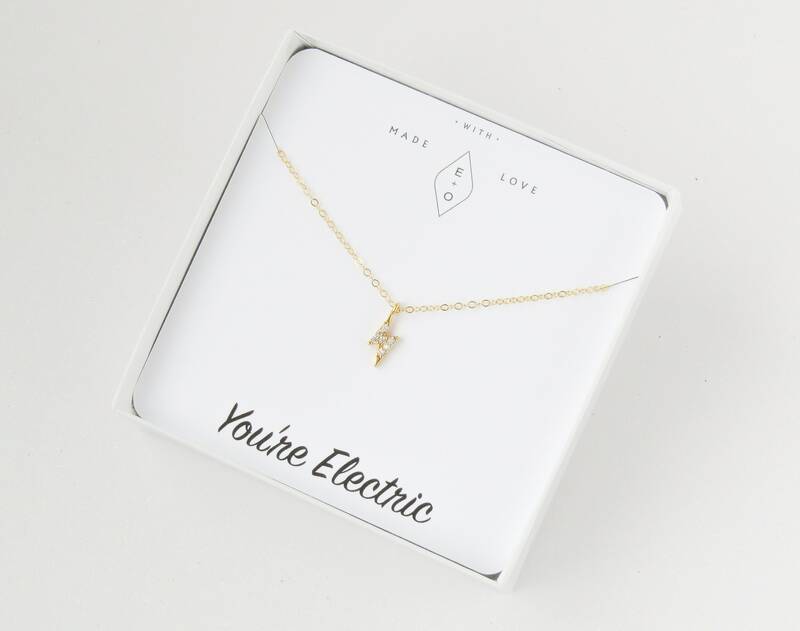 This is the perfect necklace to show off your electric self! 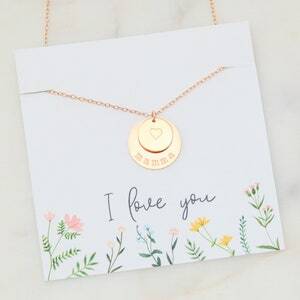 Great gift idea for your fun, exciting friends! 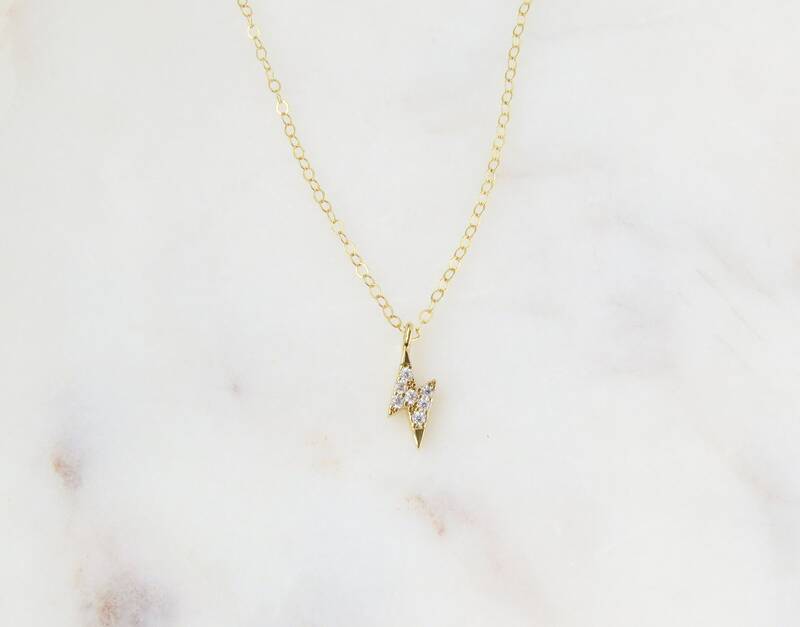 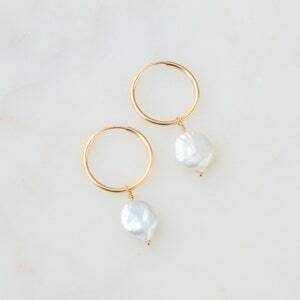 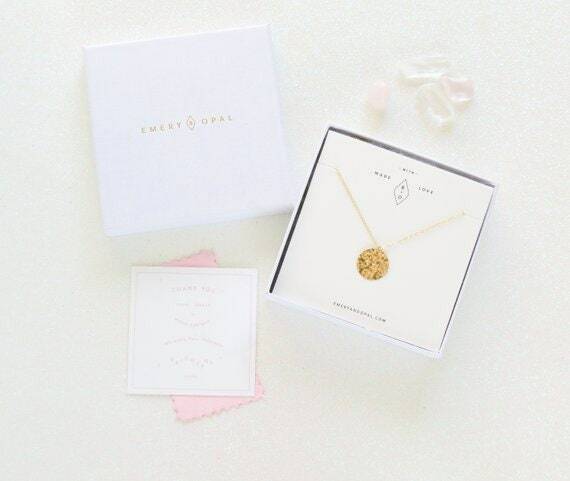 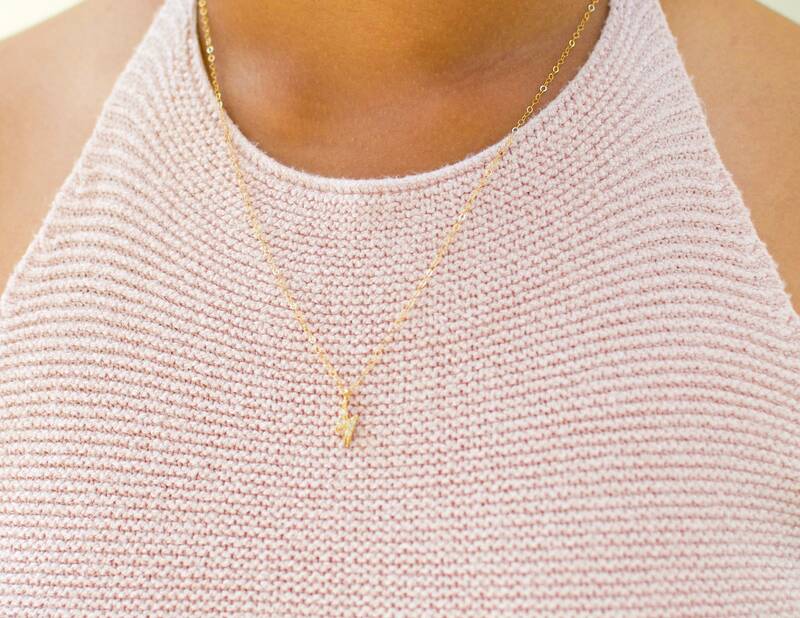 Choose between several chain lengths and we will hand make this piece just for you.